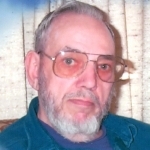 James Frederick Smith, age 84, of Summit Township, died Friday, March 29, 2019 at LECOM Senior Living Center after a period of declining health. Born on September 1, 1934 in Union City, Jim was one of eleven children of LaVerne and Lydia Wethli Smith. He was preceded in death by his first wife, Alberta McClelland Smith; five sisters and three brothers; and his son-in-law, Terry Kinnear. He is survived by his wife Kathryn Edes-Smith; his daughter, Darlene K. Kinnear; grandchildren James Kinnear (Dianne) and Cassandra Atkin (Jason); great-grandchildren Jaden, Jera, Hannah, Hunter, Elizabeth, and Mackenzie; brothers Richard Smith (Mary) and Paul Smith; step-children Victoria Scime (Anthony), Ralph Edes (Melanie), and Kathi Staaf (Douglas); and a step-granddaughter, Jacquelyn Aviles. Jim had served in the United States Army and retired from Bucyrus Erie. He loved nature and the outdoors, and was a beekeeper. Friends may call at Van Matre Funeral Home in Waterford on Monday from 4-7 p.m. A funeral service will follow at 7:00 p.m. with Rev. Gary Donaldson officiating. Private burial will take place Tuesday at Waterford Cemetery. 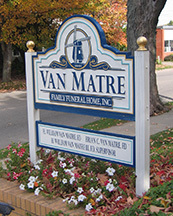 In lieu of flowers, donations may be made to VNA Hospice, 2253 West Grandview Blvd., Erie, PA 16506. Our deepest sympathy to you Darlene and your family. Sending prayers for you and your family.